On Aug. 28 a coalition, including the Public Interest Advocacy Centre and OpenMedia.ca formed to raise awareness about media concentration and to stop the takeover of Astral by Bell Canada. The lastest in media concentration news: Rogers buys curling. Bell buys the Cirque. Gary Bettman blinks. Rogers scores. Last month the CRTC approved the $1.32-billion Bell-Rogers takeover of the Toronto Maple Leafs and MLSE. Next week the Canada Radio-television Telecommunications Commission will begin hearings on Bell's proposed $3.4 billion takeover of Astral Media. The CRTC will hear from consumers ! Let the CRTC, the Competition Bureau, Minister Paradis and Minister Moore hear from you. Ask them to stop the takeover. J. Goss + Associates provides communications services to the Public Interest Advocacy Centre including media intelligence reports like the one posted below. The report shows good results from the coalition launch news announcement on Aug. 28 and more. For results contact J. Goss + Associates. Globe reporters Simon Houpt and Steve Ladurantaye filed a 2,000-plus word story on BCE "plunking down $3.3-billion to buy Astral Media Inc." The Sept. 1 Globe and Mail report quotes Professor Dwayne Winseck, "Just maintaining the normal rules of the markets, we know that too big is too big. It impacts pricing and it impacts innovation." The Public Interest Advocacy Centre commissioned research from Prof. Winseck for its Aug. 9 submission to the CRTC on Bell-Astral. 10 September 2012 at 9:00 a.m.
Reference Documents: Broadcasting Notices of Consultation CRTC 2012-370 and 2012-370-1. That's more than double the average return for smaller players such as Cogeco Cable Inc., Astral Media Inc. and Shaw Communications Inc., whose market caps are a fraction the size of the behemoths," David Berman reported for the Globe and Mail on Sept. 1.
wrote for the Financial Post on Aug 31. "Bell and Cirque du Soleil announced today that they have formed a new, far-reaching joint venture to develop Québec-based media content for television, film, digital, and gaming platforms. Headquartered in Montréal, the new company will develop entertainment projects for sale and licensing around the world, leveraging Cirque du Soleil's creative resources, consumer insight, and infrastructure with Bell Media's production experience, media platforms, and diverse distribution capabilities," Broadcaster Magazine reported. 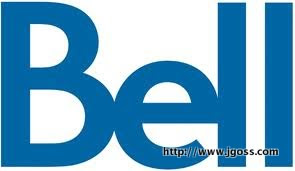 "Supporting the creation of new Québec-based media jobs and linked to Bell's pending acquisition of Astral Media, the joint venture is another extension of Bell's strategy of investment in the development and distribution of Québec content. Bell has committed a separate $80 million in new investment in Québec content development when it joins with Astral, and Bell remains the largest private contributor to Canadian broadcasting and content development, spending almost $600 million every year," Broadcaster Magazine reported on Aug. 29. "Send in the clowns – BCE Inc. is turning to the circus to help win support for its controversial $3.4-billion takeover of Astral Media. The company’s Bell Media division said Tuesday it will invest $15-million to form a television and movie production company with Quebec’s world famous Cirque du Soleil – but added it would “revisit” the partnership if its $3.4-billion deal for Astral Media fell through," Steve Ladurantaye wrote for the Globe and Mail on Aug. 29. "On Tuesday, a group comprised of activists organizations from across the country launched a campaign called Stopthetakeover.ca is asking Canadians to send a letter to the country’s Industry Minster and Competition Bureau voicing their opposition to deal. The group argues Bell will use its size to dominate smaller rivals, charging them high rates for programming that will eventually be passed to consumers," the Globe and Mail reported. "This is personal. My weekend sanity depends heavily on Spanish soccer. If I don’t have it, melancholy will ensue. Oh sure, there’s plenty of soccer on TV but I am not addicted to the English game and if the Sportsnet (owned by Rogers) schedule is any indication, we are all supposed to be riveted by the English league. El Clásico, not so much " John Doyle wrote for the Globe and Mail on Aug 29 2012. The situation underlines the bizarre circumstances of Canadian TV, controlled as it is now by a tiny group of cable/satellite/phone company conglomerates. The other day, Rogers bought up The Score, another sports service. Very soon there will be the CRTC hearings about Bell’s acquisition of Astral, a deal that the other cable companies are warning us about. Media concentration, media consolidation. Billions of dollars being spent. And still I can’t see Spanish soccer on TV here? The more channels, the less choice. We should be grateful we have Lifetime, at last. Don’t get me started. Bruce Cran, president of the Consumers' Association of Canada is quoted in a QMI Agency report on the launch of the Stop the Takeover Coalition. "Ce deuxième groupe, dont font partie Option consommateurs (OC) et l'Union des consommateurs (UC), estime que la transaction réduira le choix des consommateurs et augmentera leur facture de câble," Agence QMI a rapporté. Industry Minister Christian Paradis was asked about the StopTheTakeover petition. "As far as I understand this is within the [Canadian Telecommunications Radio-television Commission] jurisdiction and Competition Bureau," Paradis told The Canadian Press. The Aug. 28 Canadian Press said: "The group is led by Openmedia.ca, and also includes unions and lobby groups such as Canada Without Poverty, the Canadian Media Guild and the Consumers Association of Canada." On Aug. 28, The Straight's Yolande Cole reported:A group of organizations calling itself the Stop the Takeover Coalition is opposing Bell Canada’s proposed $3.4-billion purchase of Astral Media.The coalition, which includes the Vancouver-based group OpenMedia.ca and the Public Interest Advocacy Centre, argues the takeover could lead to higher prices and fewer choices for consumers. Federal Industry Minister Christian Paradis isn't taking a position on BCE Inc.'s proposed takeover of Astral Inc., despite a new initiative from a group opposed to the deal encouraging Canadians to write the minister in protest, Josh O'Kane reported for the Globe and Mail on Aug. 28. On Aug. 27 The Canadian Press reported: "The group is headed by Openmedia.ca, and also includes unions and lobby groups such as Canada Without Poverty, the Canadian Media Guild and the Consumers' Association of Canada. A second campaign to derail BCE Inc.'s takeover of Astral Media Inc. has been launched, as a handful of advocacy groups joined together to warn the deal will lead to fewer media voices," Steve Ladurantaye reported for the Globe and Mail on Aug. 28. "Communications giant must now find the right role for edgy sports station acquired in $167-million deal." Steve Ladurantaye reported for The Globe and Mail Aug 27 2012. © 2015 J. Goss + Associates. Design by J. Goss + Associates. Unifor 591-g. Simple theme. Powered by Blogger.